Rejoice – like this baby elephant! you have to stop and smell the sea. Let the salt prickle on your skin. Poke your nose into the unknown. The best time to play is – always! Will our future be that…shocking?! Andrea, What a delightful post! 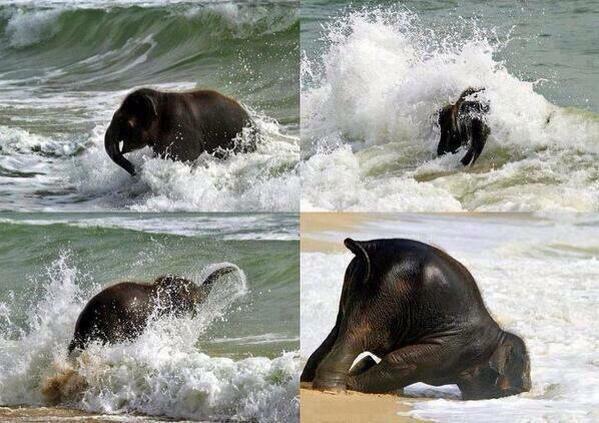 The unrestrained exuberance of the baby elephant playing in the sea raised a smile. Awesome! Love the pics and the sentiment!